The rollerball refills listed below fit Sensa Rollerball pens. Please, carefully compare the shape and dimensions with your original refill. If you need a different type of refill for your Sensa rollerball pen, please contact me and I will try to help you locate the refill you are looking for! Require Ballpoint Pen Refills instead ? Or Fountain Ink Cartridges ? 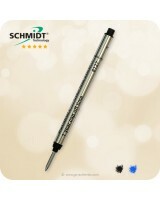 Schmidt 8120 LONG model broad point roller ball refill for cap-less rollerball pens. 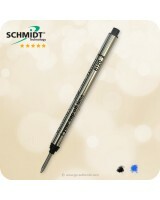 Premium quality..
Schmidt 8126 LONG model fine point roller ball refill for cap-less rollerball pens. 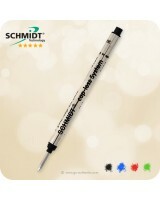 Premium quality ..
Schmidt 8127 LONG model medium point roller ball refill for cap-less rollerball pens. Premium qualit..